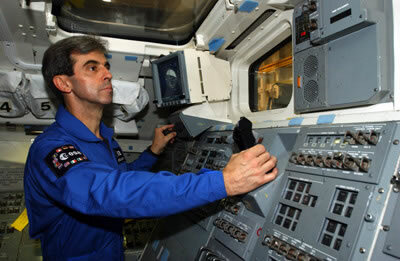 At the age of 50, Léopold Eyharts is readying for his second spaceflight. 6 December, he will embark on the U.S. Space Shuttle Atlantis for a flight to the International Space Station (ISS), where he will stay for more than two months. One of his tasks on this mission will be to commission the European Columbus laboratory. 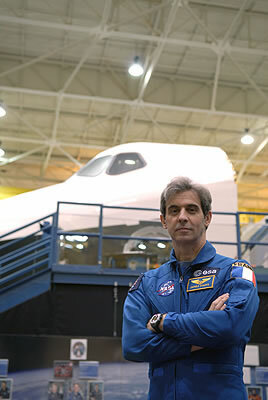 Léopold Eyharts became a fighter pilot in 1980 and then a test pilot in 1988 before joining CNES’s astronaut corps in 1990. “But I had already applied to join the corps before in 1985, when I was only 28,” he says. He remembers always having dreamt of flying and going into space from the time he watched humans first set foot on the Moon at the age of 12. 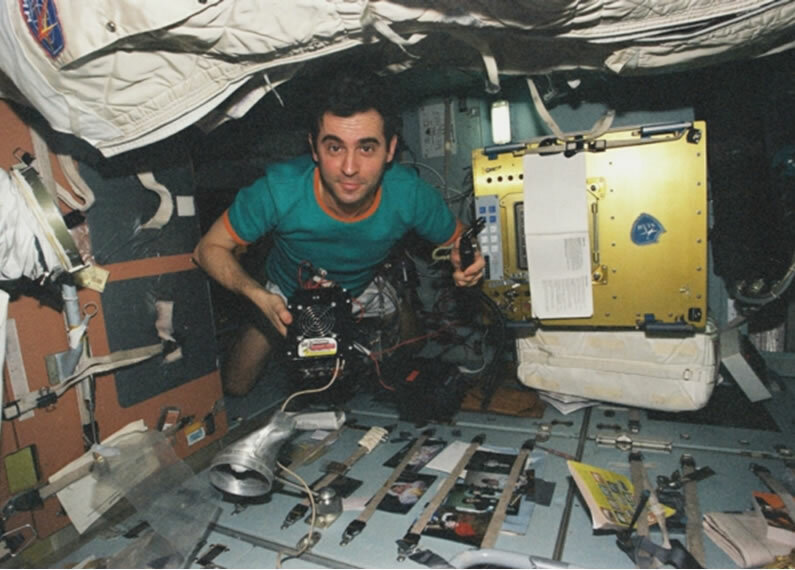 He began his astronaut career as back-up to Claudie Haigneré on the French-Russian Cassiopée mission in 1996 before being selected as prime astronaut for the Pégase mission in January-February 1998, when he spent 3 weeks on Russia’s Mir space station. “A short but intense flight,” he recalls, “in a difficult context since the mission had been postponed 6 months after a series of mishaps during the summer of 1996, when we almost lost Mir…” The mission also offered him the extraordinary chance to live for 3 years in Moscow, where he worked alongside the heroes of the Russian space adventure every day. In August 1998, Léopold Eyharts crossed the Atlantic for another adventure in the United States, where he began training as a mission specialist at NASA’s field centre in Houston. This was just before the birth of his son, who has grown up a long way from the French Basque Country from which Léopold hails. “We have been expatriates for 9 years now, which is never easy, especially when you’re as strongly attached to your roots as I am,” he says. But up to the launch of Atlantis on 6 December, Léopold Eyharts’ schedule has no more trips planned outside the United States—a luxury he hasn’t tasted for 3 years. The Frenchman is now fully concentrated on his mission and looking forward to doing a “good job”. 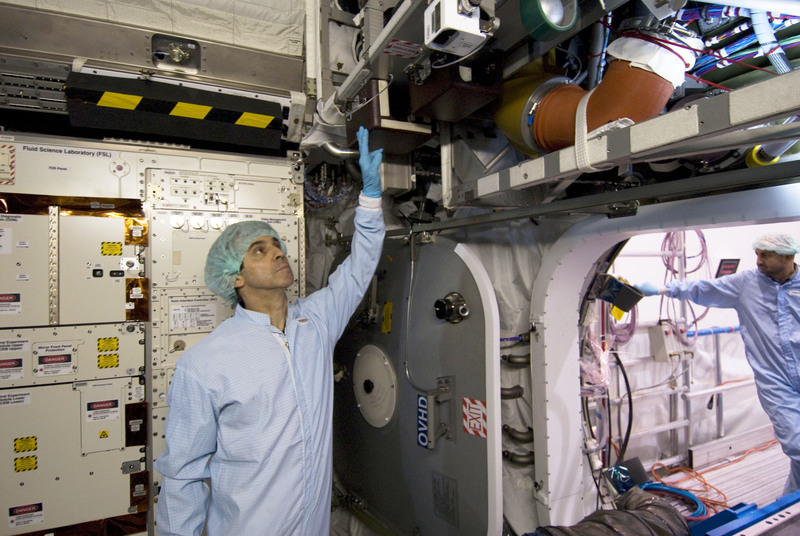 “My mission is to fire up the Columbus laboratory: that means checking out the onboard systems and making sure the payload racks are ready to accommodate the science experiments. As the third member of the resident ISS crew, I will also be performing all kinds of tasks on the Russian and American systems on the station. For example, I will be operating the robot arm during my two crewmates’ extravehicular activities.” Léopold Eyharts doesn’t feel any pressure under the responsibilities he will be shouldering during his mission: “There’s nothing to worry about, but we know that sometimes mishaps occur, so we train to deal with them.